From left to right: Dr. NakaMats, Dr. NakaMats. 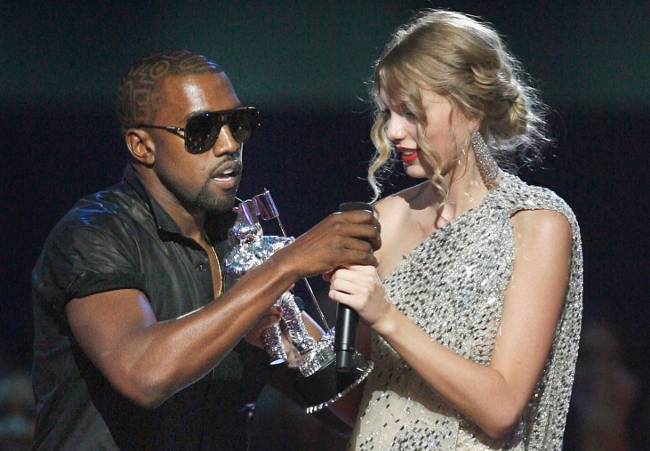 Thomas Edison I’m happy for you, imma let you finish, but Dr. NakaMats is one of the greatest inventors of all time! 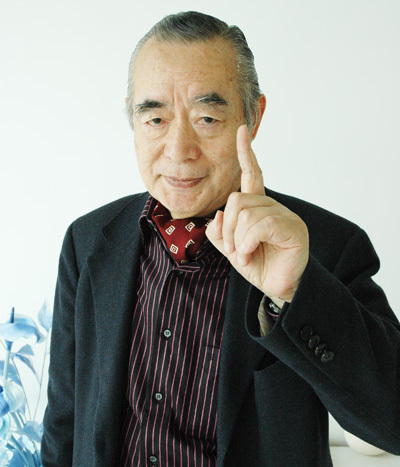 Dr. Yoshiro Nakamatsu prefers to be called Dr. NakaMats. He says that an eight letter name is easier to remember than a nine letter name, but don’t ask me why he capitalizes the M. The enigmatic octogenarian inventor is a bit of a minor celebrity, dressing in extravagant suits, and is the host of the World Genius Convention. He even has his own theme song! Who exactly is this strange man? How did he get to where he is today? 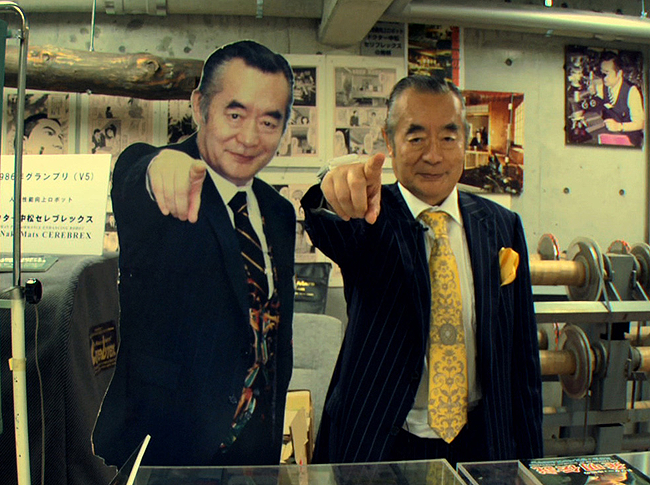 His house, a den of invention, looks more like a funhouse than your typical Japanese home. 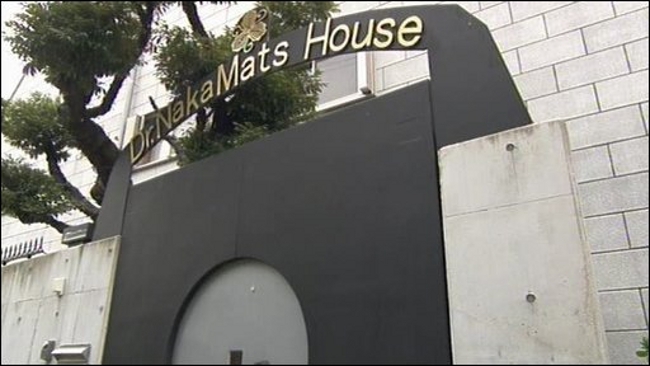 Full of fake doors, a gold-plated bathroom (he claims that the gold blocks out all outside distractions), and a showroom of all of his inventions, Dr. NakaMats’ house is probably one of the coolest places in all of Japan. Go inside and you’ll find a 60 year history of the inventions of the greatest inventor of all time. He claims that his first invention came when he was just five years old, and he’ll be happy to show you a picture of a kindergarten-age Dr. NakaMats with his first invention. He says he gets his best thinking done in his pool, where he jots down flashes of inspiration on a waterproof pencil and notepad – his own invention, of course. 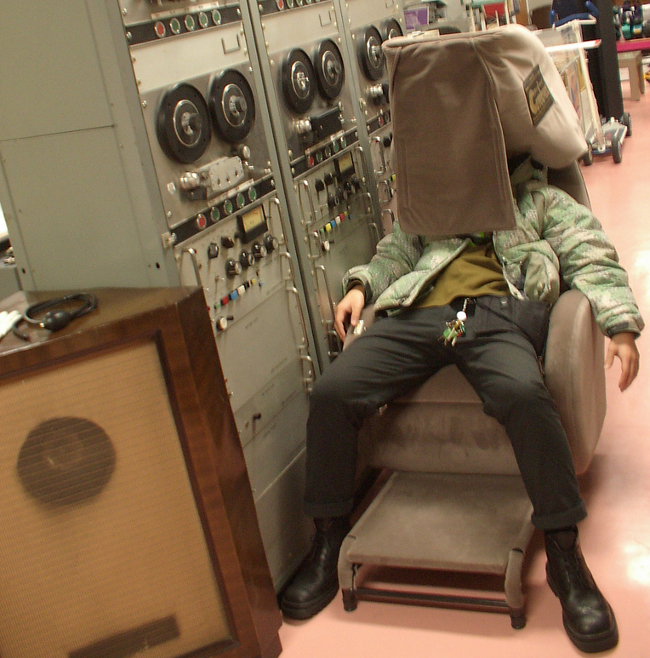 Dr. NakaMats might spend a few minutes relaxing in Cerebrex, a recliner of his own creation which he claims a “130% increase of all power,” whatever that means. Dr. NakaMats taken a picture of every meal he’s eaten for over thirty years, which isn’t as impressive as you may think because he only eats one meal a day. He claims that through his daily regimen of diet and exercise, he will live to the ripe old age of 144. However, some of Dr. NakaMats’ claims seem a little questionable. IBM says that it invented the floppy disk on its own with no help from the good doctor. And a lot of his claims – like that he was the guest of honor at a dinner party thrown by the U.S. president, that cities around the world celebrate “Dr. NakaMats Day,” or that he has patented the most inventions of any person ever – are all pretty false. 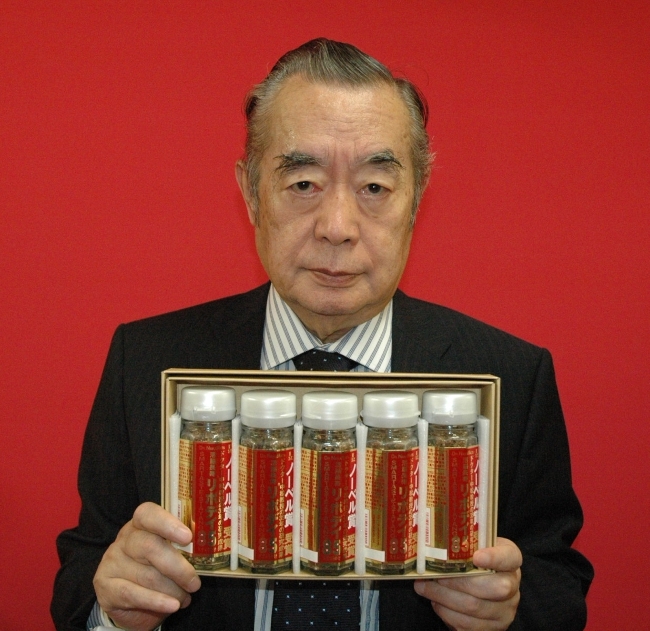 But that hasn’t stopped Dr. NakaMats from continuing to experiment, invent and just do his own thing. Dr. NakaMats was a recipient of the 2005 Ig Nobel Prize, a prize given out every year for weird, off-the-wall unusual scientific discoveries, for his ongoing documentation about the food he eats. He’ll be happy to show off his collection of trophies and awards, but you might not want to quiz him about their validity. All that being said, though, he is the proud owner of many patents and inventions. Here are some of the coolest ones. Have you ever been walking alone down a dark street late at night, and wished that you had something to keep you safe? 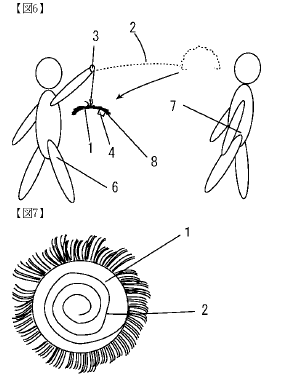 Something like mace, or a taser, or maybe martial arts lessons? Dr. NakaMats can do you one better. His self-defense wig can protect you from any potential attackers, as long as you’re wearing the hair piece. As the patent application above shows, it’s an easy and effective tool to stopping assailants dead in their tracks. Well, maybe not, but it’s kind of nifty anyway. This is probably the most fun invention Dr. NakaMats has ever created. These “Pyon Pyon” shoes can makes you bound across distances with the greatest of ease, or jump really high like the good doctor above is doing. It looks like a lot of fun, and it can be yours for the low, low price of $180 on Dr. NakaMats’ site. Dr. NakaMats will be the first person to tell you that he’s pretty bad at golf. 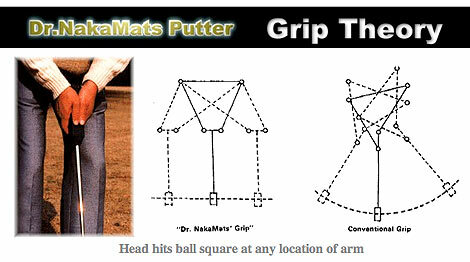 But while some people might improve their golf game with long hours of practice on the links, Dr. NakaMats did what he does best: invented a solution. A different grip and a different head supposedly make it much easier to putt than with a normal putter. 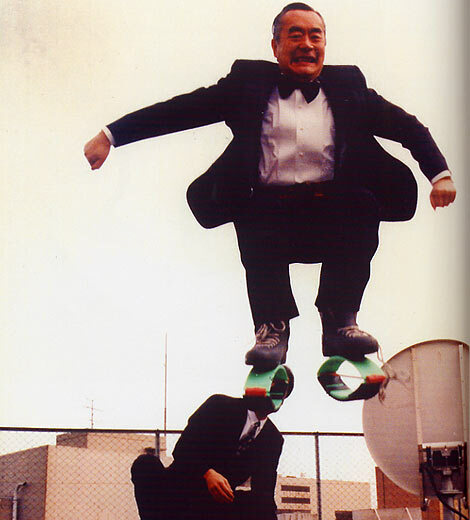 Dr. NakaMats might not have the most patents of anyone in the history of the world, and his inventions might not be the most practical, but in my book he’s still one of the coolest, weirdest inventors of all time.